Love goes a very long way. Add truth and you will go even further. Truth lays the foundation for the questions and dialogue that will surely follow. A child needs to trust fully in order to feel secure and that they belong—with you. Not being able to trust adds to feelings of self-doubt and low self-esteem. The adopted child often has enough issues to deal, because they were adopted. Adoptive parents need to make sure they don’t add to or magnify what is already fermenting inside the adopted child’s mind by not talking about adoption. If your child feels they can’t trust you, how on earth are they going to be comfortable talking to you about anything, especially something as complex as the emotions that are part of having been adopted? Truth is always best and the sooner it begins the better…and easier for the dialogue that will surely follow. The topic of adoption needs to be discussed from the “get-go”—as soon as the child can talk. 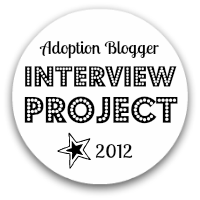 Talking about adoption normalizes it and empowers the adopted child and adoptive parents. Adoption is not second best, but it can seem so when it is not talked about. The topic of adoption becomes the proverbial pebble in the shoe. Parents: Talk to your kids. If you can’t, ask yourself, “Why?” What haven’t you resolved? Nice article. I never really thought that truth plays almost as important a role as trust. We work on trust all the time with our 11 yo RAD daughter…truth has always been a part of that. Thanks! I don’t see how you can have trust without truth.